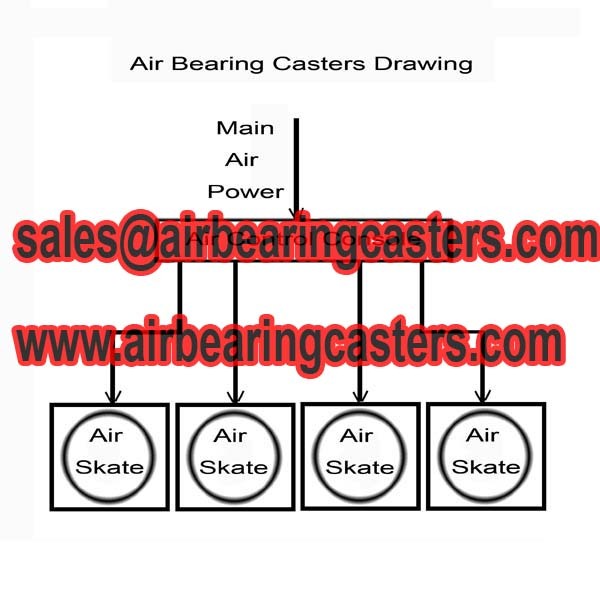 Air caster skids also known as air casters, air movers, air bearings, air skates, air bearing load movers, air rigging systems and so on. 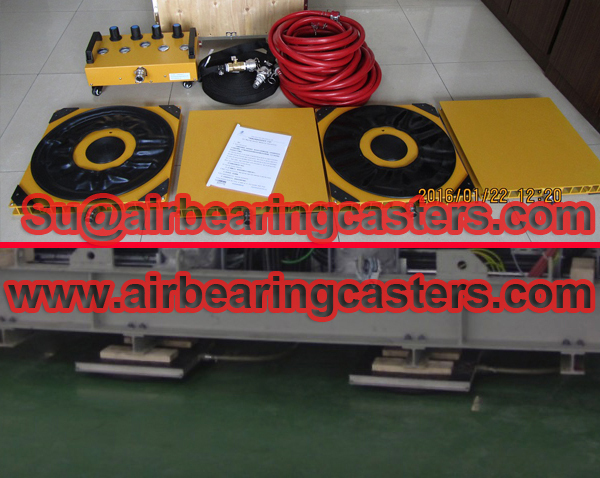 Air caster skids come in a variety of shapes and sizes, works is durable, lightweight and builf for years of trouble free operation. 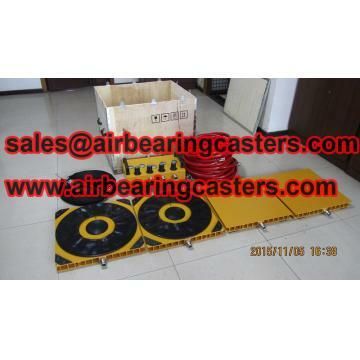 Air skids is one kind of moving and handling tools applied on industrial areas. Is the optimal solution for moving heavy objects in a safe and ergonomic way. 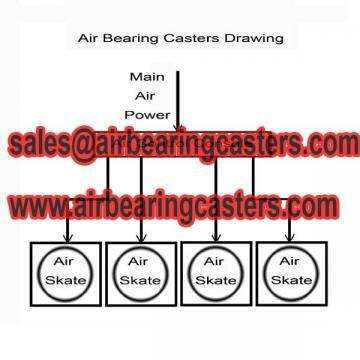 Air bearing skids allowing almost friction free transport and positoned in horizontal directions. 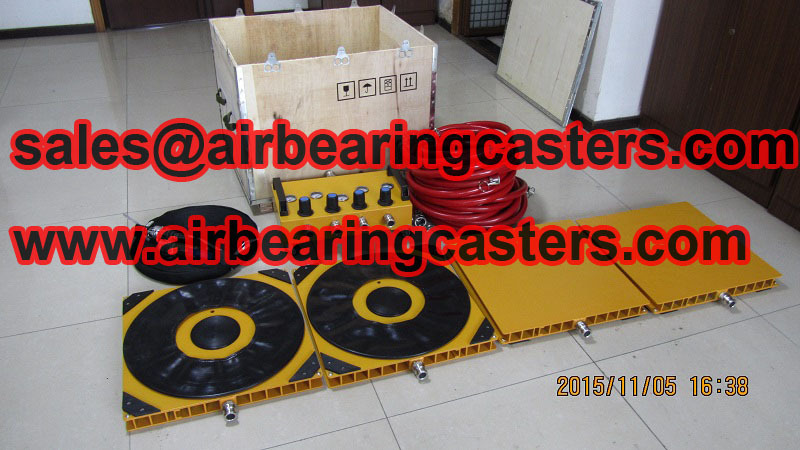 Air bearing kits can move for more than 50 tons,110,000 lbs loads easily with four person to handle it . 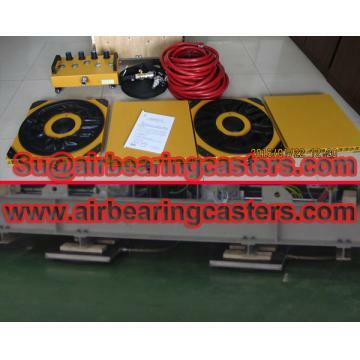 Regarding air caster skids instruction, air bearing load movers application, air skates pictures, air casters price list, please kindly feel free contact us. Professionally service hope will get your satisfaction.